At the risk of sounding clichéd, here goes. The moment I stepped into the office, I knew I was at the right place. This was exactly where I wanted to be. But I had never worked in a corporate setting before, leave along a giant like Edelman. It was exciting and nerve racking … soon after, I was introduced to my team members and jumped right in the middle of non-stop work. In the two months that I interned there, whoever asked me how I was settling in my new workplace, I could not help but mention how new it was for me to be handling work for more than one client in a day. While I attempted to find a balance multitasking, my colleagues were already pros. A typical day in the office started with a quick inbox check, scanning for client news through print and online media, heaps of research and word/PowerPoint edits. Most of my tasks included connecting with journalists and bloggers to pitch stories and being a part of the ideation team while working on creating PR plans for new clients. For public relations enthusiasts, here’s what I took away from my Edelman experience. PR is bigger than you think. There is genuinely so much team-work that goes on behind-the-scenes. Work is divided between departments and executed neatly. Edelman offices worldwide are connected in a very organic yet mythological way. All Edelman employees are interconnected – bound by international clients. Adding imperative value to this PR community, the president & CEO Richard Edelman regularly shares his views on the Edelman 6 A.M. blog – one of my personal favourites. When a leader regularly communicates the company’s vision with its most important stakeholders - the employees - he creates a breathing machine more aligned with the company’s mission. Don’t think before you say yes! Yes – is the default answer. The moment you say yes, you open yourself to the possibility of getting things done. There are many instances where I noticed my brain hesitating for a micro-second – Did I know how to create a dossier in my first day at work? Nope. But I was open to learning and saying ‘yes’ got me places – always. When I arrived at Edelman, I was instantly inspired by the strong, intelligent women who surrounded me and made me want to be a part of this team-based environment. The work space that Edelman offers enhances an individual’s PR strengths, and helps them realize the kind of work management style that suits them best. You might even decide the kind of work you’re interested to pursue and catch a glimpse of the future you working at the office, like me! If you’re someone who’s going to start your internship at Edelman soon, don’t forget to own the moment. 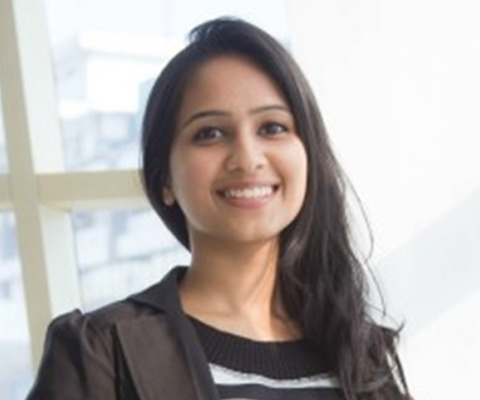 Prachi Tyagi is currently a marketing communications graduate student at the University of Melbourne. She writes on the lines of digital transformation, public relations and her travels among a mix of other things on her website Prachi Preaches.